Of all track and field events, pole vaulting is certainly one of the most exciting. However, pole vault is also one of the most dangerous events on the field. Coaches and athletes depend on Anthem Sports for high-quality equipment that is safe and efficient to use. 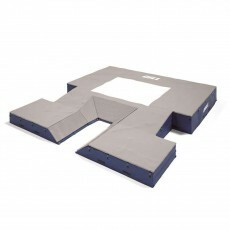 We offer a large selection of pole vault mats to suit any need or budgetary restriction. 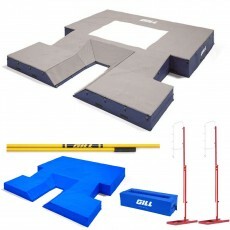 We can also help you choose the right products for your track and field program. 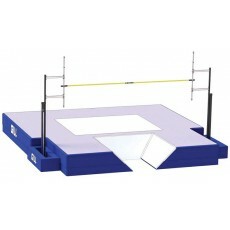 Invest in quality equipment for optimal pole vault performance by exploring our inventory today. 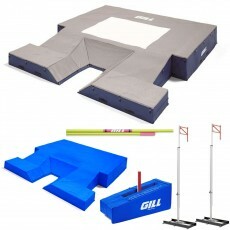 Our pole vault pits selection includes landing pits and value packs made by Gill Athletics, an industry leader for over 95 years. Enjoy a shopping experience unlike any other! 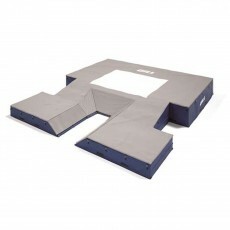 Pole vault mats are an essential part of pole vaulting because they provide a soft space for your athletes to land on. 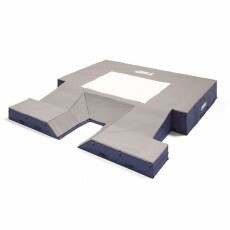 Our pole vault landing mat value pack comes with a landing system that’s made of a high-density polyurethane foam with base and top pads and a 10-year warranty. This package also comes with a weather cover, heavy-gauge steel crossbars, and polyester base pads encased in vinyl-coated polyester mesh fabric. 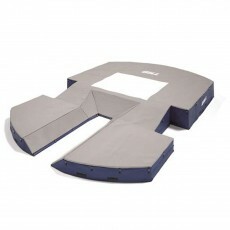 If you only require a landing pit, look no further. 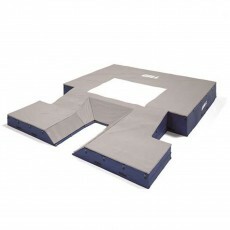 Each pole vault landing mat we offer is NFHS-approved and priced to fit your school’s budget. 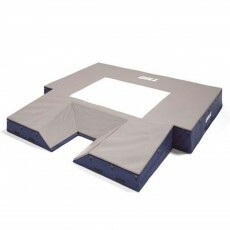 We also offer a wide variety of pole vault pits in multiple sizes. With each pole vault pit we offer, you can select your preferred top pad and base pad mesh colors, as well as the weather cover color. Pads and weather covers are also eligible for custom graphics. If you would like to learn more about custom artwork or adding a logo, please email the design to [email protected] These official pits feature durable base unit designs with reversible sections for maximum interchangeability. 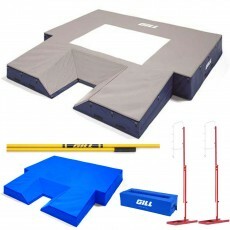 Our selection of pole vault mats and pits includes a wide array of affordable solutions that will keep your pole vaulters safe. Our strong national buying power also enables us to offer you quantity discounts. Our equipment specialists can help you get the most out of your equipment budget. 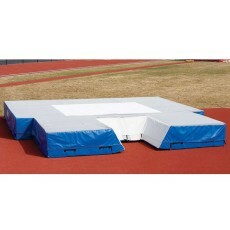 We can provide estimates for your pole vaulting team or track and field program. If you have any questions about these products, please call toll-free or email us to learn more.